19 night Tour Begins New York, Ends Miami: 1 night New York; 1 night Boston; 1 night Quebec City; 1 night Montreal; 1 night Toronto; 1 night Niagara Falls; 1 night Harrisburg; 2 nights Washington DC; 1 night Winston; 1 night Asheville; 1 night Nashville; 1 night Memphis; 2 nights New Orleans; 1 night Pensacola; 2 nights Orlando, 1 night Miami. The Grand East tour starts in New York for a night in Manhattan before moving north to the cobblestone streets of Boston. 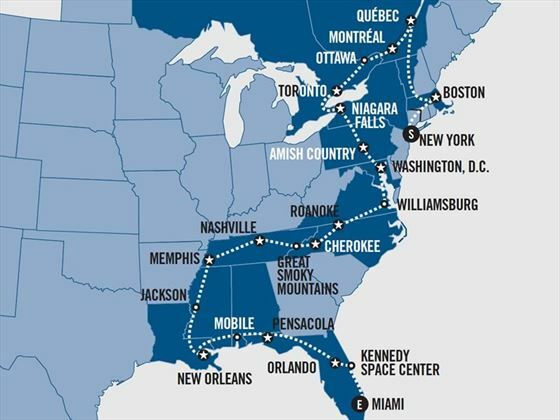 You’ll continue along the New England coastline to the resort of Kennebunkport before you cross the Appalacians and enter Canada. 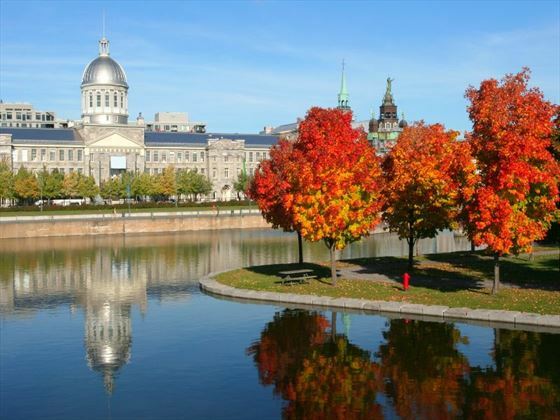 Stay in historic Quebec City and cosmopolitan Montreal and then head west to Ontario, where you’ll stop in Canada’s elegant capital Ottawa. Follow the Thousand Islands Parkway to arrive in Toronto, the country’s biggest city and a dynamic cultural and financial powerhouse. 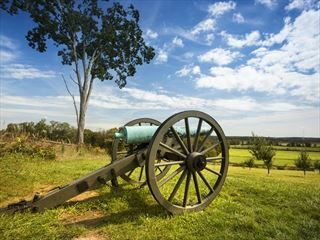 Leave Canada via unmissable Niagara Falls to enter the States again, heading past the Finger Lakes to Amish Country and Gettysburg, with a tour of the battlesite. Your next major stop will be in Washington DC, with time to visit many of the monuments and museums the American capital is famous for. There’s plenty more to come, as you drive along the Blue Ridge Parkways and through the Great Smoky Mountains to visit musical cities Nashville and Memphis before a stop in New Orleans, home of jazz and thriving once more. Next it’s east, following the Mississippi Gulf Coast to Florida, stopping in Orlando, the Kennedy Space Centre and Miami. The maximum altitude on this tour will be 1990 Feet/607 Metres. Enjoy a city tour of Washington D.C. Your holiday starts with a flight from your chosen UK airport to New York. 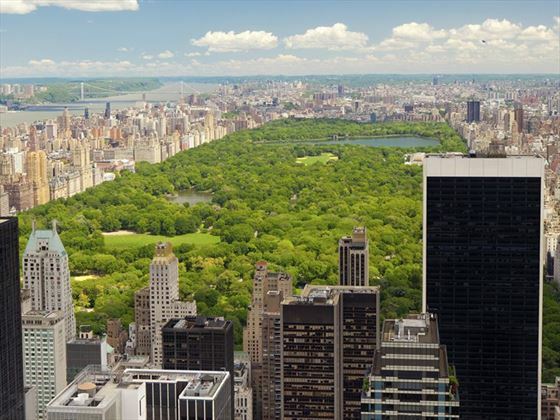 Arrive New York City and transfer independently to your hotel where you will meet your tour director in the evening. Depart NYC for historic New England. Travel along the Long Island Sound to historic Boston, MA. 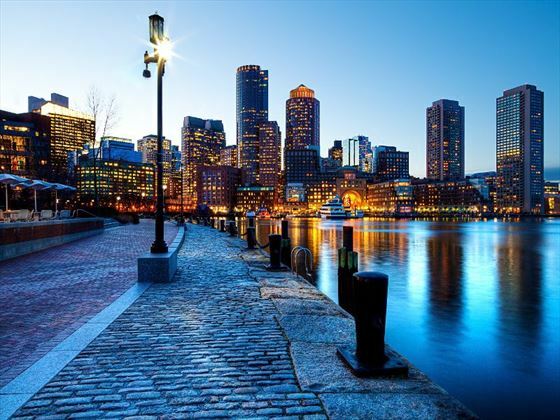 Enjoy a walking tour along the Freedom Trail and the cobblestone streets of Beacon Hill, steeped in history, which contains one of the city’s most beautiful neighbourhoods. This morning travel through the New England stats of New Hampshire and Vermont on your way to Canada. 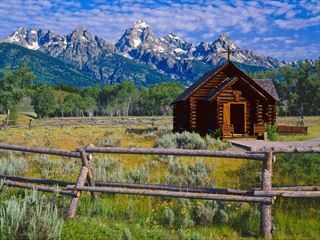 You will pass small villages and drive through the picturesque White Mountains, particularly beautiful during the fall foliage. 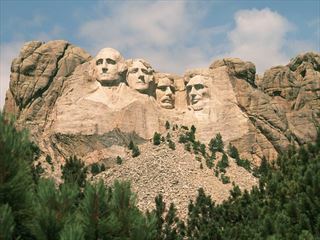 In the late afternoon, cross the U.S./Canadian border to enter the province of Québec. Perhaps visit an authentic maple farm and this evening, and take the opportunity to sample some of the celebrated French Canadian cuisine (optional). Begin the day with a tour of Québec City, the capital of the province and a UNESCO World Heritage Site. Highlights include the Québec Provincial Parliament Building and the Citadelle. Then enjoy a walking tour of the walled city, where you will see the Chateau de Frontenac, as well as unparalleled views of the Saint Lawrence River. Then you may want to enjoy a delicious pastry, baguette or candy treat or, if time allows, may we suggest a visit to Rue du Tresor before departing to Montréal. Upon arrival, go on a tour of Old Montréal, the area known as the “Vieux Port,” with stops at Place Jacques Cartier & Notre Dame Basilica. Depart Montréal for the capital of Canada, Ottawa. This vibrant city of parks and flowers boasts one of the most impressive parliament buildings in the world. In the afternoon, continue along the Thousand Islands Parkway to the largest English-speaking city in Canada, Toronto, located on the shore of Lake Ontario. Join an optional excursion on the St. Lawrence River which explores the magnificent scenery on a relaxing cruise. Begin the day with a drive through Toronto’s impressive collection of modern skyscrapers, most notably, the CN Tower, the world’s tallest free-standing structure (1,815 ft. /553 m).. Do you dare stand on the glass floor located more than 300 metres above Toronto (optional)? Continue along Lake Ontario, crossing the Welland Canal, before arriving at Niagara Falls where you will be amazed at this natural wonder. Stroll along Table Rock, see the unique Floral Clock and view the thundering water of the Horseshoe Falls. Perhaps take an optional tour on the renowned Hornblower Niagara Cruise boat ride at the base of the Falls. Today ride through the rolling farmland of upstate New York, known as the Finger Lakes Region, and enter the Keystone State of Pennsylvania. This afternoon, visit the historic Gettysburg Civil War National Battleground, site of the largest battle ever fought on American soil, and the place where Abraham Lincoln gave his famous address in 1863. Travel along the Susquehanna River to Amish Country. Amish Country – Washington, D.C.
Travel through rural countryside to Pennsylvania Dutch Country. Visit an Amish Museum and see their 300-year-old tradition of simple living (admission included). The Amish people live in a world that stopped in the mid-1850s. They use no electricity, mechanical devices, or modern equipment. In the afternoon, continue to the nation’s capital, Washington, D.C. 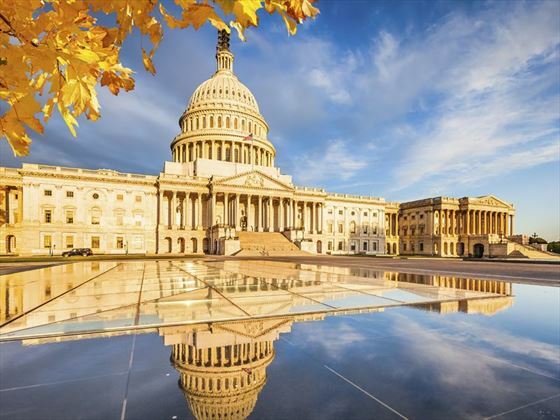 Enjoy a city tour with such highlights as the U.S. Capitol Building, the FBI Building, Washington Monument, Lincoln Memorial, the White House and Arlington National Cemetery, site of the John F. Kennedy Memorial. Spend the remainder of the day exploring some of the many museums comprising the Smithsonian Institute. Depart this morning for Williamsburg, Virginia’s colonial capital. Walk along the Duke of Gloucester Street to visit some of the impressive public buildings, colonial houses and the college of William and Mary. Today, travel along portions of the Blue Ridge Parkway, through the beautiful Blue Ridge Mountains for an early afternoon arrival in Gatlinburg, in the heart of Tennessee. 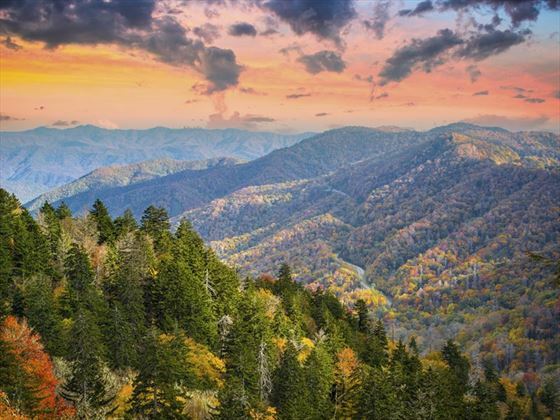 Enjoy the breathtaking scenery as you visit Great Smoky Mountains National Park. Stop at the Mountain Farm and Museum to explore the life of an Appalachian farmer. 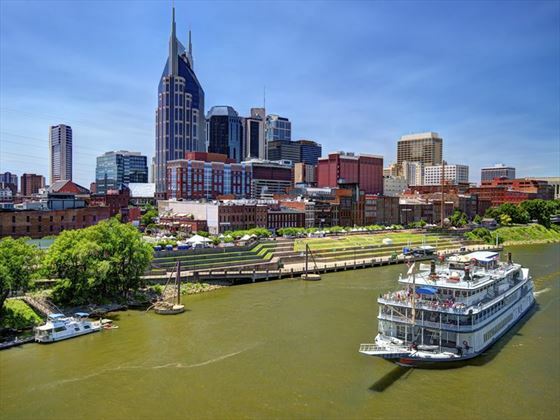 Continue through Knoxville to Nashville, capital of Tennessee and home to country & western music. Travel across the countryside and arrive in Memphis, the city known for blues music, cotton and home of Sun Records. Take a city tour including Beale Street, the heart of the blues music scene. This afternoon, fans of “The King of Rock and Roll” have the opportunity to tour Graceland, former home of Elvis Presley (optional). Today’s tour takes you to Mississippi, the Magnolia State. Pass through Jackson, the state capital, and continue to Louisiana and New Orleans, the home of the infamous Mardi Gras celebrations. Tonight, immerse yourself in Creole culture on board an authentic Mississippi Riverboat dinner cruise and enjoy the rhythms of a Dixieland jazz band (optional). A full day at leisure to take in the French flavour and grandeur of New Orleans. Explore the French Quarter with its trademark wrought iron balconies overlooking the narrow, cobblestone streets. Stand atop one of the infamous New Orleans levees and gain the perspective of how these unique feats of architecture guard the city. This morning, travel along the Mississippi Gulf Coast through Mobile, Alabama to the city of Pensacola. En route we visit one of the top 10 rose gardens in America at the Bellingrath Home (admission included). Visit Pensacola Beach, walk along side the swaying sea oats, dipping your toes in the warm waters of the emerald green Gulf of Mexico. Travel through rural Florida to Ocala, known for thoroughbred horse ranches. Continue through central Florida, heart of America’s citrus industry, and on to Orlando America's family playground. Day at leisure. Spend the day relaxing by the pool, or visit one of Orlando’s attractions, such as Walt Disney World Resort’s Magic Kingdom Park, Epcot, or experience Disney’s wildest adventure yet, Disney’s Animal Kingdom Theme Park (admissions not included). Drive to the Kennedy Space Center, home of America’s space program (admission included). The tour continues on to the cultural melting pot of Miami Beach. Your tour comes to and end today. It's time to head to the airport for your flight home. Cheapest airlines to New York will constantly vary and any of those listed below may be quoted to you to give you the best available price for your holiday. Should you have a preferred airline please let us know and we will quote on the best option to suit your needs including any of the following airlines (supplements may apply): Virgin Atlantic, British Airways, United Airlines & Aer Lingus. Most will also offer regional departures so please call for details.